Save up to $150! 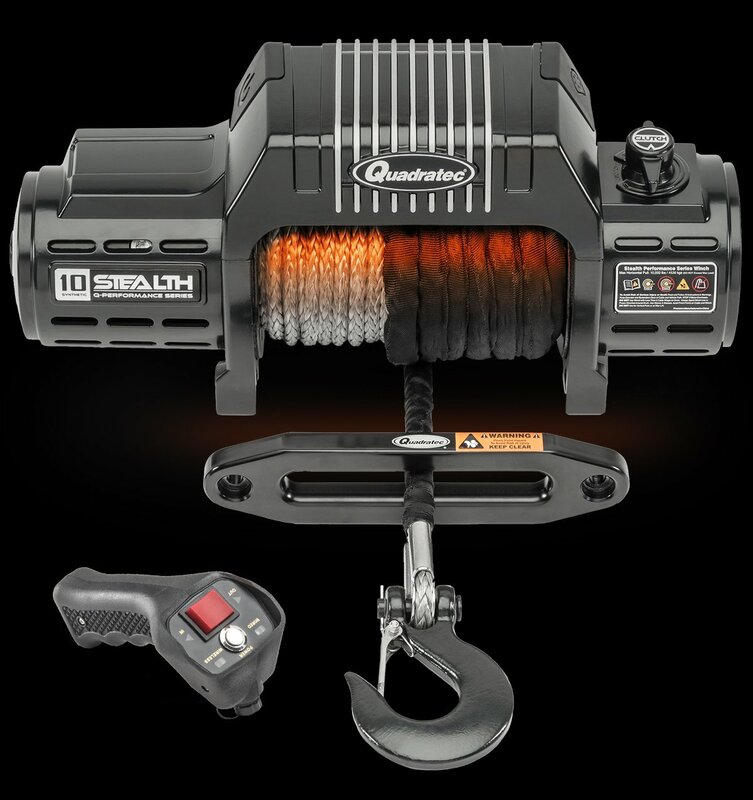 when you buy a Quadratec Modular Winch Ready Bumper & Quadratec QSeries Stealth Winch! 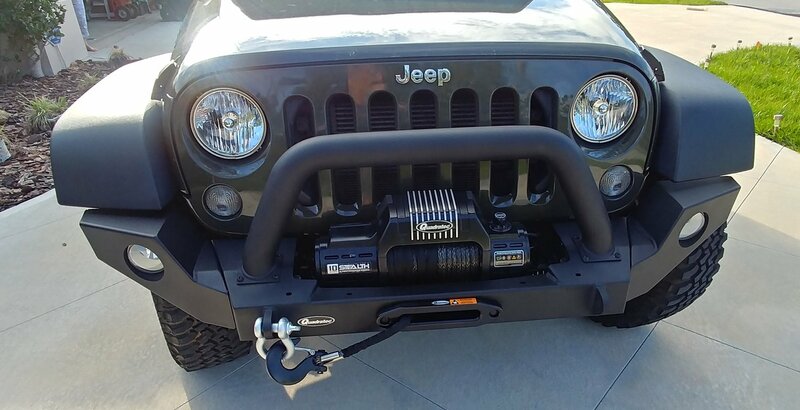 Quadratec’s Modular Winch Ready Bumpers are a multi piece steel design that uses 4mm thick plate and 3” diameter removable grill guard hoops and detachable end caps. Bolts directly to existing mounting points with no drilling and features an integrated 6mm thick winch plate. 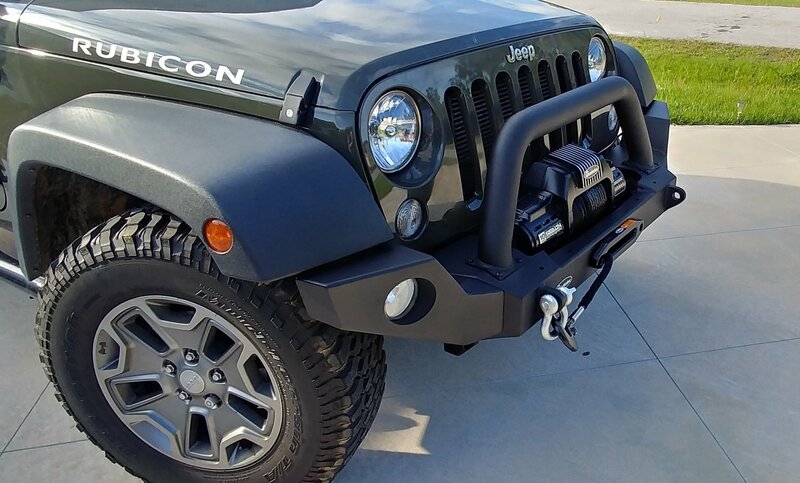 Bumpers are e-coated for corrosion resistance and finished with a durable black textured powder coating. 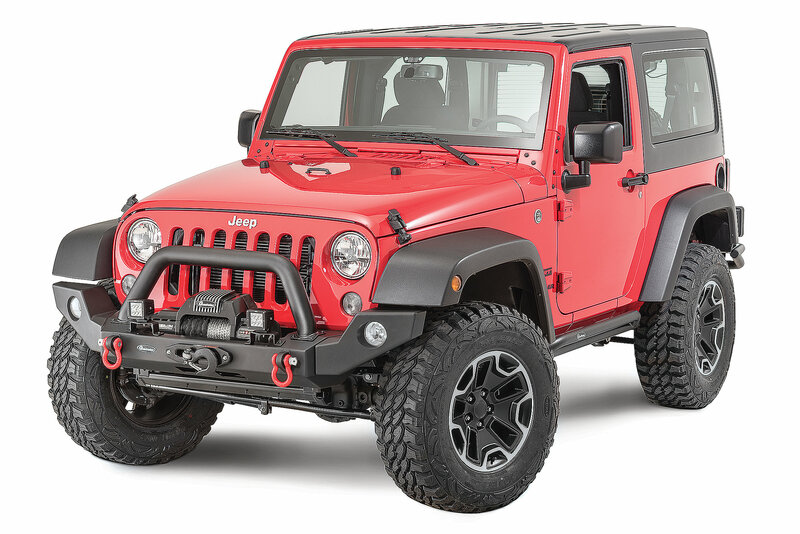 Bumper measures 71” wide and features factory fog lamp provisions in the end caps. With end caps removed, bumper measures 43.5” wide providing additional tire clearance if needed. 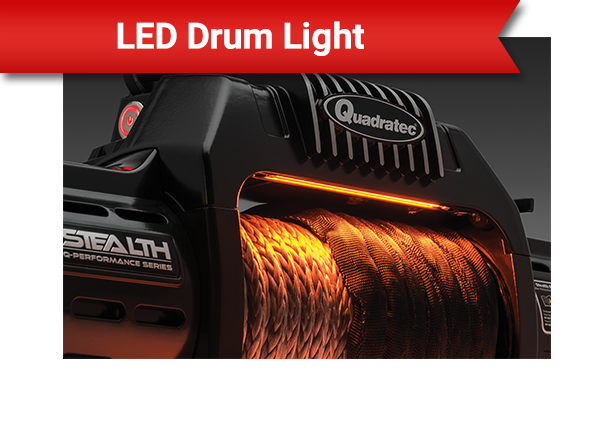 Includes hardware pack and detailed instructions and a Three Year Limited Warranty. 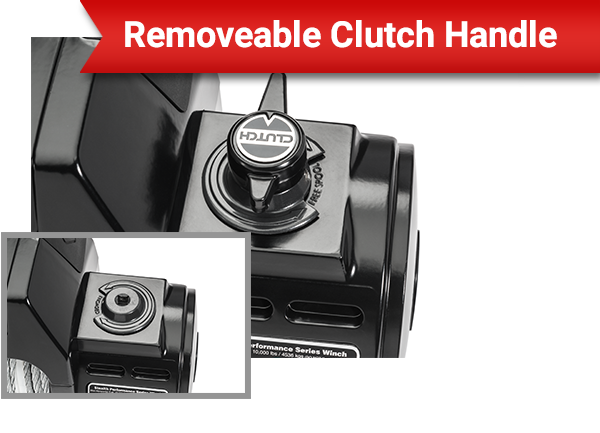 Note: If re-using your existing factory fog lamps, our plug-n-play extensions are required and available separately. Overall a good value and pleased with the end result. I was a bit concerned when UPS delivered the bumper and there was a hole in the corner with hardware falling out. It was all there, although scattered around the box. Otherwise, the packaging was excellent with a dense padding protecting all of the bumper surfaces and a solid carton keeping it all together. The instructions are good and provide sufficient detail to get the job done. I also received the winch in the combo which was also packaged and documented well. I am not a fan of the button head allen wrench hardware for mounting the outside sections of the bumpers and think a normal bolt would make it easier, and I think the bull bar mounting hardware could be larger. A few thoughts. Add a warning when connecting the ground wire to the winch ground post, to not overtighten the connection, or the brass post may break off, as it did to me. It was threaded into the winch casing and easy to replace. I also received the fog light extension wiring to mount the factory fog lights in the outside section of the bumper. They worked well and had the correct connectors. The only complaint is there is no place to fasten the wiring extension between the old connection and the fog lamps, leaving the wires dangling behind the bumper. A hole and plastic cable tie-downs would be nice I found some cable ties with small tabs that I pinched in between the bumper sections to secure the wires.